Essentially England News - A Gigantic Bit of History! All of a sudden it's summer... and I have no idea where the time has gone! We're having exceptionally fine weather: very warm, very bright and with a few spectacular thunderstorms thrown in to liven things up a little. 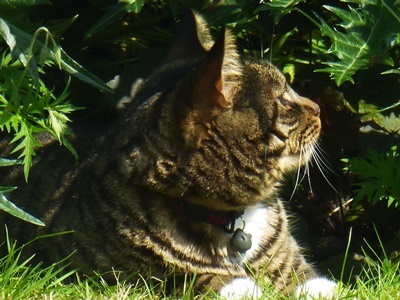 It's the sort of weather where our Tiger cat wishes he could shed his fur coat, I'd love to move my desk outside and cooking revolves around salads and dips. I seem to be experimenting with a lot of Tex-Mex and Asian food at the moment, but I've picked a few tasty things to do with broad beans for you this month.. since they are ripe, ready and ridiculously tasty right now. First things first, though... I have to tell you about our weekend! 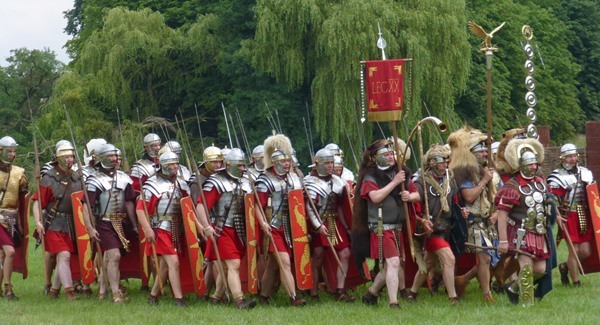 Every year in July, English Heritage hosts a gigantic history extravaganza weekend at Kelmarsh Hall in Northamptonshire. History groups and reenactors from across the country gather to showcase 2000 years of English history. History Live! or The Festival of History as it used to be known, has been on our horizon for years, but for one reason or another, we've never made it. Seeing as we're now living so much closer to Kelmarsh, we decided that this year was the year we'd go. Not even the forecast heavy thundery showers and hail could deter us. And I'm really glad about that. For someone who doesn't like crowds I had a fantastic time! The event site is simply huge and while the visitors flock in droves, it never feels claustrophobic. Three main arenas are dedictated to battle reenactments and displays. There's an event stage hosting music shows from medieval to modern. Historical talks and book discussions take place in another huge marquee. And then there's a whole area dedicated to children and history. Most of the site, though, is taken up with living history displays - and while I enjoyed all the activities - it's those displays I like the best. There's a Roman encampment, a gladiator school and a Viking coppersmith. Medieval men-at-arms gave me the chance to try on a pot helmet and I got an impromptu crash course in luceting and pin weaving from ladies follwing Cromwell's New Model Army. We listened to talks about life in the Flanders trenches of the First World War, watched the fighters arm themselves for a battle of the Wars of the Roses and - as often before - marvelled at the weight of chainmail (and the ability of the men to fight while wearing it.) Large groups of WWII aficionados attended History Live! to celebrate the 70th anniversary of the D-Day landings - and they put on a spectacular display, including a dogfight in the skies above the site! I was really struggling to decide what to see and do... it's all amazing. What I tend to take away from events like this, is the enthusiasm everyone has for their chosen corner of English history. The many hours the reenactors put into studying even minute details to make sure they really show how people of that period lived. And how happily everyone shares their knowledge. And yes, I don't like crowds. But given such a huge field filled with delights... how can we not go back next year? One of the events at History Live! that we sort of tripped over was a recital of poetry and music from the Great War. WWI was a time when people's lives changed dramatically. Not only did the men go off to die in the trenches leaving the women at home to wait for news, but women stepped out to fill the gaps in commerce and industry left the by men fighting abroad. Something that had never happened before on that scale. I found the poems very moving, quiet and without pathos, a suprisingly intimate window into a time not so long gone. 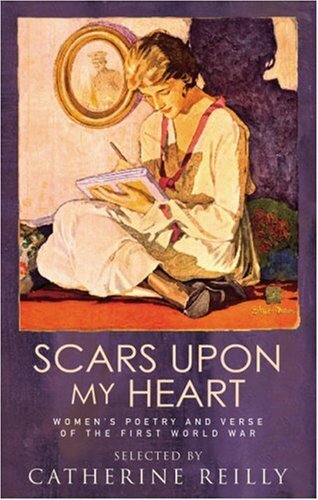 The book of poems is called Scars Upon My Heart, and if the Great War is a time that interests you, or if you want to find out more about the real history, the one that leaves scars, then take a look at this book. And no, I'm not going to sing it. Neither is the song about broad beans, but I thought it fits. I never had broad beans until I came to England, but now they're a firm favourite, eagerly awaited every summer. And I have a number of ways to prepare them. All of them start with shelling the beans and dropping the seeds into boiling water for 2-5 minutes. How long they need depends on the age of the bean, but do make sure they're properly cooked before you use them. For this I do peel the beans twice, because nothing looks nicer than a bright green spread on your nibbles. It's a great lunch dish or nice when serving canapes. You need a French Stick or thin white toast cut into triangles. Cook your broad beans until soft, then leave until cool enough to handle. 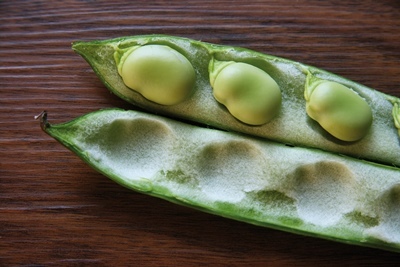 Pop them out of their husks and drop the seed into a blender. Add a small clove of garlic, salt and pepper to taste and blend the beans to a puree. Add enough olive oil to get a rough paste and check the seasoning. Spread on your toast, drizzle with more olive oil and decorate with fresh basil leaves. And if you have some pink wine chilling in the fridge team it with these little treats and you'll be very happy! Here, I tend not to peel the beans twice and it doesn't seem to hurt the dish at all. This makes a lovely fast dinner for a hot evening, when all you want to do is sit in the garden and admire the sunset. Apart from your cooked broad beans you need a few rashers of your favourite bacon, a small bunch of parsley and hunks of fresh bread. Cut the bacon in cubes and cook on a medium heat in a skillet until the fat runs and the bacon goes crispy. Add the beans and turn them to coat in the bacon fat. Season with salt and pepper. Just before you're ready to eat, add a handful of chopped fresh parsley. Turn onto plates and serve with some lovely fresh country bread and a tomato and basil salad on the side.